"The second time around is never the same." 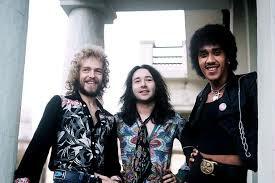 Directly responsible for the rise and popularity of Thin Lizzy, not to mention coining the name for the band, guitarist Eric Bell will forever be remembered. From his joyous barn-raising guitar crankage on "The Rocker"...to his definitive gentle and anthemic bar-bellowing "Whiskey In The Jar"...the "vagabond rocker" who provided the guitar fuel was loved and admired by fans and peers alike. But after Thin Lizzy's fantastic 3rd album "Vagabonds Of The Western World" (1973)... Eric, who was struggling with personal demons I won't rehash, simply walked away. 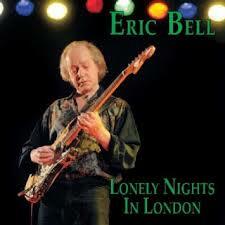 For the longest time I had simply lost track of Eric Bell, until stumbling upon a wonderful little gem..."Lonely Nights In London" that he had recorded in 2010. Always a big fan, I was really fortunate to catch up with Eric and talk about the music. Casey Chambers: Good to talk with ya, Eric. Eric Bell: Casey, can I call you the "Wichita Lineman?" Casey Chambers: Absolutely! (laughs) Eric, I forever became a fan when I discovered your guitar work all over Thin Lizzy's..."Vagabonds...". And it's still one of my all-time favorites. Casey Chambers: One of many highlights from the album is your "modest" guitar announcement delivered on..."The Rocker." Exciting...and still fresh meat. Eric Bell: Yeah, thank you. That was a new sort of chord I learned. (laughs) I was trying it out. The start of "The Rocker" has that chord in it, which I don't think I'd ever used before. It's a different voicing. It's in A. A Major but it's a different sorta shift. Casey Chambers: It almost startles ya, doesn't it? Eric Bell: Yeah. And then Cream did it with another song..."I Feel Free." There's a jazz chord that Eric Clapton uses at the start of that song. E7 with an added 9th or something. (laughs) So it sorta seems to go on. And then I did it with "The Rocker." Sorta hit this pental chord. We recorded "The Rocker" live because Philip (Lynott) asked me, 'Eric, what way do you want to do this?' I said, 'why don't we try it like the way we play on stage?' I think that was the second take. And that's the one we used. Casey Chambers: The second take...how about that! Casey Chambers: That song was recently featured on a soundtrack for the movie, "Rush" (2013). Eric Bell: That's right. About the racing car driver. I haven't seen the movie yet, but I have had people tell me that "The Rocker" was used. Casey Chambers: Your last studio album was..."Lonely Nights In London." (2010) It's a bluesy-rock offering which is a real gem to spin. It rocks...but there's also moments of comfortable weariness to the sound. I find myself reaching for it a lot on late-nighters. Eric Bell: Oh thank you. Yeah, that was recorded in Bernie Torme's studio...an Irish guitar player from Dublin who used to play with Ozzy and some other pretty big names. And he had a studio in England that was in the middle of nowhere. I ended up recording "Lonely Nights In London" there. And it really was out in the sticks. I had to stay out there overnight and it was like a bed and breakfast. (laughs) Yeah, the album was pretty good. A lot of what I recorded live, y'know, like the way I'm bound to play on stage was just done as a three piece and I just basically started playing. Casey Chambers: Well, it turned out great. And I especially enjoyed the songs that speak of quiet desperation. The title track...as well as "Belfast Blues" both capture the rabbit. Eric Bell: The song "Belfast Blues" is about growing up, leaving school and joining the real world. I had a lot of trouble trying to work the 9 to 5 job and I had a lot of 9 to 5 jobs. (laughs) I always found it very strange and absolutely detested them. And I got very depressed over it. I started practicing the guitar very hard, putting a lot of work into it...but my family didn't see me having any future as a musician, y'know? At that point in time, I didn't like living in Belfast and I left with an Irish showband and went to Glasgow, Scotland as a full time musician. And that's what that song is all about. Casey Chambers: There's a very nice YouTube of you performing that song on Eastside Sessions. Eric Bell: Yeah, that was real good because it was at The Strand. Sort of a, what would you say... an old fashioned cinema. One of the old cinemas still going in Belfast. It hasn't got 9 small screens. It's got the one huge screen. And a balcony and big scarlet curtains that close over the screen. It's a really nice place. And that's where we recorded that. Casey Chambers: In the mid '70s, you recorded a couple of albums with the Noel Redding Band (bassist - Jimi Hendrix Experience). The second album..."Blowin'" (1976)...was recorded here in the States down in Texas. Eric Bell: Yeah, that's right it was. I think it was a place called Sugar Hill Studios. It was where The Big Bopper recorded "Chantilly Lace." So a few well known people had recorded there. Casey Chambers: Well, any studio with a musical history has to be a good thing. Was this the first time you had recorded in America? Eric Bell: That was the first time I was ever in the States. I missed going there with Thin Lizzy. And going to Japan and Australia. So my first tour in the States was with Noel Redding. 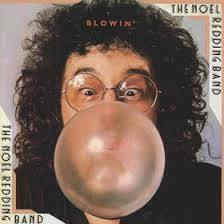 I didn't like most of the music in The Noel Redding Band. It didn't feel right. It didn't feel natural. 'Cause I was so used to playing with three piece bands and Noel's band had a keyboard player which was quite heavily pushed. A lot of keyboard playing. And I didn't know sometimes how I'd fit. Casey Chambers: One of the songs from the album was "Love And War"...a song you wrote while with the band. 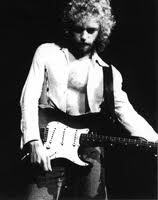 Eric Bell: Yeah, I was actually just starting to write complete songs then and I didn't really know what I was doing. (laughs) Dave Clark, the keyboard player and songwriter...he had no more songs at that time...so it was just the management asking me, 'Eric, do you have any songs?' And I came up with "Love And War" which...it's not great but y'know, it was a start. I was trying to write songs. I co-wrote a lot of stuff with early Thin Lizzy. Like Philip, he would play me a song that he had written and I'd sort of change quite a bit of it...put in new chords and all sorts of riffs and little fill ins and things like that. And I think doing that actually helped me to start writing songs. I'm much more into the songwriting now. Casey Chambers: Thin Lizzy's definitive version of "Whiskey In The Jar" has grown to become a powerful and emotional anthem. And your gorgeous guitar work is all over the "Jar-o." Casey Chambers: Whose idea was it to record this one? Eric Bell: That was a complete fluke. We were...Thin Lizzy...was rehearsing in a pub in London, which we used to do every week if we weren't out playing. And on this particular day there was nothing happening. We tried to work on some original songs but the mood wasn't there. So Phil had started messing about with these...these silly songs and at one point he started singing "Whiskey In The Jar." (laughs) Myself and Brian (Downey) started playing along with him just out of boredom more than anything else. Our manager (Ted Carroll) came in at that point with a new amplifier for me to try out and as we were looking at the amplifier our manager asked us, 'What was that song you were playing just before I came in the door?' Philip said, 'Ahh we were just messing about, Ted.' And Ted said, 'Yeah, but what was it?' Philip said, '"Whiskey In The Jar".' And he basically talked us into recording it. We already had a song for an A side called "Black Boys On The Corner" but we didn't have a B side. This was for our first single with Decca Records. Anyway, we went in and recorded "Black Boys On The Corner" and then everyone asked us what we wanted to do for the B side. We were sort of talked into trying "Whiskey In The Jar", so we went out and did it. And it took me forever to think of the guitar parts. It was just unbelievably difficult. Casey Chambers: You worked it out and that song opened up a lot of doors for you. Eric Bell: It did. Yeah, it really did. And we weren't prepared for it in a way, y'know? But it certainly started to pave the way for Thin Lizzy. There's no doubt about it. Casey Chambers: And I saw the appearance you guys made on "Top Of The Pops" doing that song. 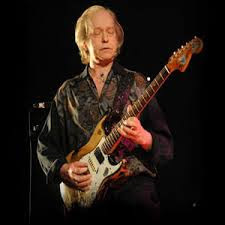 Eric Bell: Yeah. (laughs) It's very funny you should say that because one of my ambitions as a young musician was to be on "Top Of The Pops"...which I thought I would never ever do. I mean how do you go about it? A sort of an unknown musician from the backstreets of Belfast wanting to go on "Top Of The Pops" is like...What?!' And it happened and it was just...I couldn't believe it. But I was just going through a bad time in my life at that point. So if I appeared on "Top Of The Pops" now, I would be very very excited about it. But then, I just wasn't. Philip was. Philip was over the moon about it. And so was Brian. But I was just going through this thing in my life and it wasn't such a big deal. Casey Chambers: Was that the first time you had appeared on television? Eric Bell: No. My first time was with a showband from Dublin. (The Dreams) We recorded a song written for us by a pop group called The Tremeloes. They used to be very famous in the late '60s in England. And they wrote a song for us called, "I Will See You There." And somehow our manager got us to appear on a TV show in...I think it was Hamburg. Anyway, y'know it was a German television show and we were just miming to the record. That was the first time I was ever on TV. Casey Chambers: Do you remember the first album you ever bought? Eric Bell: The first album I ever bought...it might have been The Shadows or Lonnie Donegan because I was completely nuts about them. I absolutely loved'em. I still do. He was the first guy that I ever heard that was just...it was just so exciting. There was a lot of very square music being played on the radio, y'know? 'I'm a pink toothbrush, you're a white toothbrush' type of thing. (laughs) Very strange songs but they weren't great. And when you're 14...which I was, 14 or 15...you just don't want to listen to the same music your parents listened to. But that's all there was. And then one day I heard this record called, "Rock Island Line" by Lonnie Donegan and I just...y'know, my life changed once I heard it. It was just unbelievable. But Lonnie Donegan...he interested everybody in England. John Lennon. Keith Richards. Eric Clapton. All the top guys. If you look on YouTube Casey, you'll get all of this amazing black and white footage of him playing live. Casey Chambers: I absolutely will. Eric Bell: Yeah, it's really worth seeing. Casey Chambers: Any chance you'll be heading into the studio again soon? Eric Bell: Oh, absolutely. I did this blues sorta gig about nine months ago in Manchester for Andy Quinn. And after the gig he asked if I'd be interested in doing another album. So about two months ago, I went in and recorded five tracks which are basically finished...but they have to be remixed. I was gonna finish up another five tracks later this week but I got the news his daughter had taken ill. So I plan to finish up recording in about three or four weeks. I'm trying to go for an atmosphere of moods in the songs. Casey Chambers: That's gonna be some good stuff to look forward to. Let me know when the album wraps so I can add a link for readers to get their ears on it. Eric Bell: Oh yeah, sure. Casey Chambers: Well, I think I've taken up enough of your time, Eric. Thank you for all the great music you've made and thanks for hanging out with me this evening. Eric Bell: Oh, you're welcome, man. You're the "Wichita Lineman." Casey Chambers: Yeah, I'll own it. (laughs) Keep on bringing the sounds, ok? Eric Bell: All right Casey. And thank you very much. "How country do you want this?" So you pick up an instrument and there's just no telling where it might lead. The sound of the fiddle can quickly fill your chest with joy from a thousand endless summers...and just as quickly break your heart with tears from a thousand goodbyes. All from a single draw on the bow. Byron Berline is a homespun memory-sparker. Sure, he can "Orange Blossom" the bejeezus out of your ears all day long. That's a bluegrass given. And if you want, he can saw off an elbow-bending solo that demands you either hang on or fall off. He does it. But even better are the beautiful fills Byron lends to a song...adding just the necessary shine without changing the intent. Sounds easy...but it ain't. 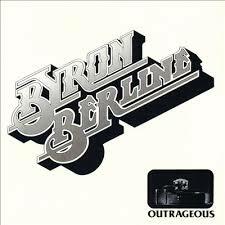 From Bill Monroe to The Rolling Stones...Byron Berline has padded his resume quite nicely. He's a solid definition of a cool fiddler breeze. And he has led a pretty extraordinary life. Casey Chambers: Byron, you received an invite to play on The Rolling Stones' song..."Country Honk" off their classic album "Let It Bleed." Would you tell us a little bit about how this rock coup went down? Byron Berline: Well, I had just gotten out of the army. I had been playing with Bill Monroe. 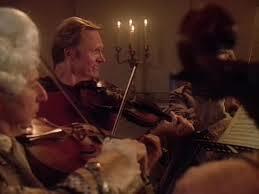 I was down in Louisiana and was lucky enough to get into special services, so I was able to keep playing the fiddle. The day before I got out of the army, Doug Dillard called me and wanted me to come out to California and record with Dillard & Clark on their second album. And so I did. While I was there, I ended up doing a few other sessions and things and they asked me to move out there and join their band. I thought, 'Well, better than going to Nashville and back to whenever I played with Bill Monroe.' Which I thought I was gonna do. Just go back to Nashville. So I said, 'Okay, I'll move.' My wife, we were married at the time, we moved to California. It was there I met Gram Parsons. He was playing with The Flying Burrito Brothers at the time. And little did I know, he was hanging around with The Rolling Stones. Especially Keith Richards. He was trying to get them to record more country sounding stuff, y'know? So when the Stones decided to recut "Honky Tonk Women"...they thought about putting a fiddle on it. So Gram recommended me to do it. So, they flew me out from Oklahoma City. Phil Kaufman, who was their roadie at the time, picked me up at the airport. We went up to this house on Doheny Drive in Hollywood and they were all hanging out up there. So, Glyn Johns and Mick Jagger said, 'We think it'd be good if you went out on the sidewalk and recorded your part.' They put a microphone and a speaker outside where I could hear the track. By this time, all the members of The Doors had shown up. Bonnie Bramlett was there. Leon Russell was there...which I didn't know who he was. They were all just standing around, while I'm playing this track out on the sidewalk in front of the studio. I went through it about five or six times. And the last time I went through it...it was getting about dark then...my bow slipped a little bit. And they said, 'That's the one we like.' I said, 'Did you hear the bow slip?' They said, 'That's alright. We liked that.' (laughs) And that was that. I went back in the studio and Keith and Mick were there doing some vocal overdubs. I got a little bored with that, I guess, and asked if I could borrow a car. I wanted to go see Doug and Rodney Dillard. I knew where they were and they weren't too far away. So they gave me the keys to a limousine and I took off and picked those guys up. We went down to The Troubadour Club like we were somebody. (laughs) I remember Rodney saying 'Let me drive.' We're all smoking cigars and looking important, yknow? (laughs) It was funny. There was a guy taking pictures of that whole session but none of them have surfaced. Not one picture except for one of Bonnie Bramlett looking out the window at me during the recording. You can see that on Facebook. But that's how that all came about. That was one of the first sessions I did when I was out there and it really helped me a lot. Casey Chambers: I'd say that was about as good a start as one could ask. You also became associated with another iconic entity when you got a little face time on an early "Star Trek: TNG" episode. (for those keeping score, it was...S1-E5 "Where No One Has Gone Before" ) How did you make it onto the Enterprise? Byron Berline daring Riker to get his trombone. 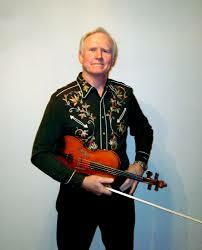 Byron Berline: Well, they were looking for a violinist or fiddle player. 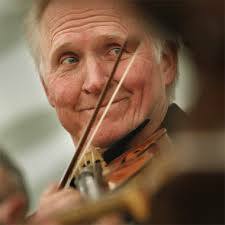 Anybody who could hold a fiddle and look like they knew what they were doing with it. I got a call from an agent who asked if I could head down to Paramount Studios and audition for a "Star Trek" scene. Casey Chambers: Number One...Jonathan Frakes. Byron Berline: Yeah...he recognized me and said he'd seen me play with The Flying Burrito Brothers in New York City one time. And he was telling everybody on the set. (laughs) I thought it was pretty cool that he was into that kind of music. Byron Berline: Oh yeah. Bette Midler's movie. Harry Dean Stanton had a part in it, too. The director (Mark Rydell) actually had directed an earlier movie that Dillard & Clark kinda got kicked out of. It was a movie called "The Reivers" (1969) He dropped all the music and we dropped out of it, too. So when he did this one, he wanted to make up for it and hired us. It was a scene with Harry Dean Stanton, Bette Midler, Rodney and Doug Dillard and myself. Casey Chambers: You released a wonderful album ..."Fiddle And A Song" (1995)...that was filled with skills and a whole lot of bluegrass fun. Plus it was nominated for two Grammys. Casey Chambers: Another standout track from that album was "Sweet Memory Waltz." Tell me about that one. Byron Berline: Oh yeah. Well I came up with that melody when I was backstage in Vegas. I was there at the Fremont or someplace. I just started playing it and thought I'll have to remember that. Later, Jack Skinner, who was a bass player in my band...Sundance...he liked the melody and wrote some words to it. Took him about ten minutes to come up with the words. And he recorded it on his album. Then I redid it on mine and we had Vince (Gill) sing it. And people do like that song. A lot of people who play in fiddle contests do it. So...it's kind of nice to have your songs played by other people. Casey Chambers: Byron, you have played with beaucoup artists from Dylan to the Doobies...so I'm just gonna pick one to throw at ya...if you don't mind...and see what you remember. There's a lost gem on Elton John's..."21 At 33" (1980)...called "Take Me Back". You put a beautiful stamp on this song. So I tried to play it as country as I could for him. And it got a nice review in People magazine, if I remember right... my solo on that. It was a long time ago. And Bernie Taupin, who wrote a lot of stuff for him, asked me to record an album with him shortly after that. Casey Chambers: I'll have to track that one down. You got a "special thanks" nod in "Back To The Future III" (1990). How did you become associated with that movie? Byron Berline: Well, it was right at the end. And it was an afterthought. They were in the studio winding down the whole thing. All the score for the whole movie. They had seen this ZZ Top song and thought, 'Boy, we could sure use some twin fiddles on this. Some banjo. Something to make it more bluegrassy or whatever.' So they called me and we got together. So I got Dennis Fetchet and myself. Can't remember the banjo player's name right now. Anyhow, we went in and did it real quick. And just like I say, they were already wrapping up the whole deal and thought they needed to get that on there. We did. It worked out. Casey Chambers: Very cool. 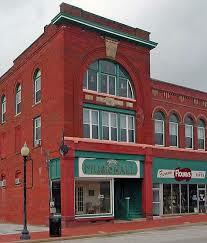 Speaking of bluegrass, every year you host the Oklahoma International Bluegrass Festival in Guthrie, Oklahoma. That sounds like a lot of fun. How did that come about? Byron Berline: It is. I had the idea. I knew I was gonna move back to Oklahoma in the early '90s or so. And I had told Joe Hutchinson, who eventually became our state representative at the capital here in Oklahoma about the idea...and he thought it would be great to have an international event. Invite groups from all over the world to play bluegrass and, of course, have our own bluegrass artists from the United States play as well...like Bill Monroe and whoever and just make it a fun event. When I did move back in '95, we got together and he never forgot me and we ended up doing it. Our first year was in 1997. Coming up this year will be our 19th festival. So that idea worked out really well. Casey Chambers: Something to put on my bucket-list, for sure. You were also inducted into the Oklahoma Music Hall Of Fame. Byron Berline: Yeah, in 1999. 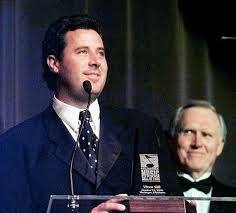 Vince Gill and I and...yeah, that was kind of a big deal. Oklahoma's been really nice to me since I moved back. I've really enjoyed myself. I couldn't be happier living here. Casey Chambers: Were you raised there, as well? 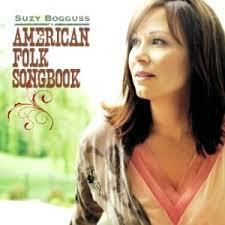 Byron Berline: One that I'm listening to right now is a Suzy Bogguss album that she did of old folk songs. I just love that one. It was a great idea she had to record it. She's gonna headline our festival this year. It's a wonderful album. It's well done and I just really enjoy listening to it. The most fun album I ever did...I had all these musicians together y'know...like Dan Crary. John Hickman. Skip Conover on dobro. Then I had Albert Lee, Vince Gill, and James Burton play on it. JayDee Mannes on steel. John Hobbs on piano. We just mixed it all together. Casey Chambers: That would've been fun to sit in on! Byron Berline: Oh, and Lee Sklar on bass was most important. He was really amazing on that. And we just sat around and put down a bunch of instrumentals I had written. It was just...I really enjoyed that a lot. Bill Monroe didn't like it much 'cause it had steel in it. (laughs) Anyway, it was a fun album. It's called "Outrageous" (1980). Casey Chambers: Old habits can be hard to change! (laughs) I've really enjoyed talking with you this morning. Is there anything you'd like to add? Byron Berline: We have The Double Stop Fiddle Shop and Music Hall here in Guthrie and we still perform every other weekend. People from all over come in all the time. We always have brand new people come in every time we play. We have a lot of fun. And we have a really good band. Casey Chambers: I can see a road trip in my future. Byron Berline: There you go. And a lot of people from Wichita do drop by. It's only two hours away. Casey Chambers: Thank you very much for taking the time. Byron Berline: Thank you. Appreciate it.